Treatment of acute, non malignant gastric and duodenal ulcers. Maintenance therapy to prevent the recurrence of duodenal ulcers. 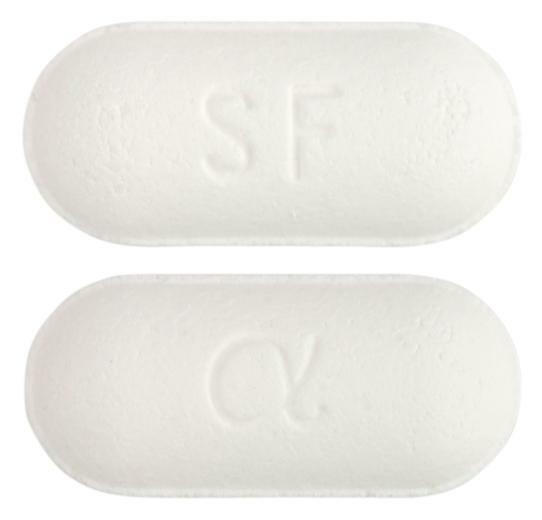 Oblong normal convex white tablet marked "SF" on one side and alpha symbol on the other.